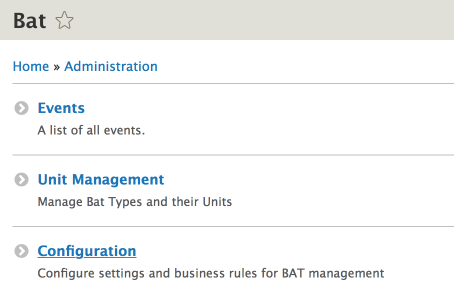 Assuming you have all the dependencies in place, as described in Requirements, you can now proceed to activate the BAT modules and get set up. Once you confirm installation, Drupal will request all the dependencies to these modules. Provided that they are all already downloaded, you may simply continue. If something is missing, cancel the process, download the missing modules, and then continue. 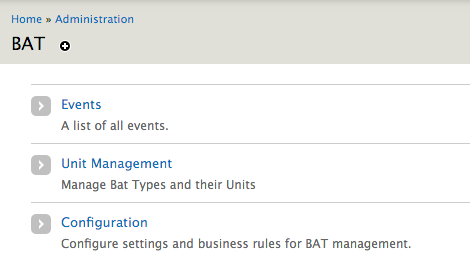 When BAT is installed with Composer, the BAT PHP library will automatically be installed in the /vendor/roomify/bat directory. See Using Composer with Drupal for more information. Provided that you are using Composer Manager, X Autoload, and have Composer, you should now have a composer.json file written in /sites/default/files/composer. You can change this location and where the PHP Library will be downloaded by visiting admin/config/system/composer-manager/settings and setting the Vendor Directory to a location of your choosing. Download the correct FullCalendar version (Check here for the current D8-compatible version of FullCalendar and unpack in /libraries/. You should have a structure similar to /libraries/fullcalendar/. Download the correct Fullcalendar Scheduler version (Check here for the current D8-compatible version of FullCalendar Scheduler and unpack in /libraries/. You should have a structure similar to /libraries/fullcalendar-scheduler/. Download the correct FullCalendar version (Check here for the current compatible version of FullCalendar and unpack in sites/all/libraries/. You should have a structure similar to libraries/fullcalendar/. Download the correct Fullcalendar Scheduler version (Check here for the current compatible version of FullCalendar Scheduler and unpack in sites/all/libraries/. You should have a structure similar to libraries/fullcalendar-scheduler/. Visit admin/config/development/jquery_update and ensure that the default jQuery version for your admin theme, as well as the site overall, is at least 1.10. We are now ready to get set up!